US scientists are testing a radical new theory that multiple sclerosis (MS) is caused by blockages in the veins that drain the brain. The University of Buffalo team were intrigued by the work of Italian researcher Dr Paolo Zamboni who claims 90% of MS is caused by narrowed veins. He says the restricted drainage, visible on scans, injures the brain leading to MS. He has already widened the blockages in a handful of patients. The US team want to replicate his earlier work before treating patients. Experts welcomed the research saying it was important to confirm the basic science before evaluating any therapy. The Buffalo team, led by Dr Robert Zivadinov, plan to recruit 1,100 patients with MS and 600 other volunteers as controls who are either healthy or have neurological diseases other than MS. Using Doppler ultrasound, they will scan the patients to see if they can find any blockages within the veins of the neck and brain. If they can prove Dr Zamboni's theory of "chronic cerebrospinal venous insufficiency", they say it will change our understanding of MS.
Margaret Paroski, who is chief medical officer at Kaleida Health, where the Buffalo researchers are based, said the work could overturn prevailing wisdom that the damage in MS is predominantly the result of abnormal immune responses. "When I was in medical school, we thought peptic ulcer disease was due to stress. We now know that 80% of cases are due to a bacterial infection. 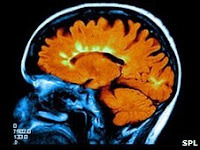 "Dr Zivadinov's work may lead to a whole different way of thinking about MS."
Dr Zamboni, of the University of Ferrara, believes the blockages are the cause rather than the consequence of MS and that they allow iron from the blood to leak into the brain tissue, where it causes damage. He has performed procedures similar to angioplasty to unblock the veins and get the blood flowing normally again. He claims this "liberation procedure" can alleviate many of the symptoms of MS and is due to publish his findings in the Journal of Vascular Surgery. In an interview with CTV News in Canada he said: "I found the evidence of narrowing - narrowing of the veins just in MS patients. "I'm fully convinced that this is very, very important for people." Kevin Lipp, an MS patient from the US, has been symptom-free since being treated by Dr Zamboni. He said: "It's only been 10 months. If nothing happens in the next two to three years, we'll know it's working." The BBC has heard anecdotally of other surgeons in Europe testing out the same treatment. The MS Society said more research was needed to see if this was an avenue that should be explored further. "This is not something patients can expect as a treatment now. This is experimental work and is being tested. We need to know more about its safety and effectiveness." Helen Yates, of the MS Resource Centre, said: "There is no doubt that this area warrants a great deal more study. "This could represent a completely novel approach to MS research which, if proven to be relevant, could be a "sea change" in the understanding of the mechanisms involved in the condition."